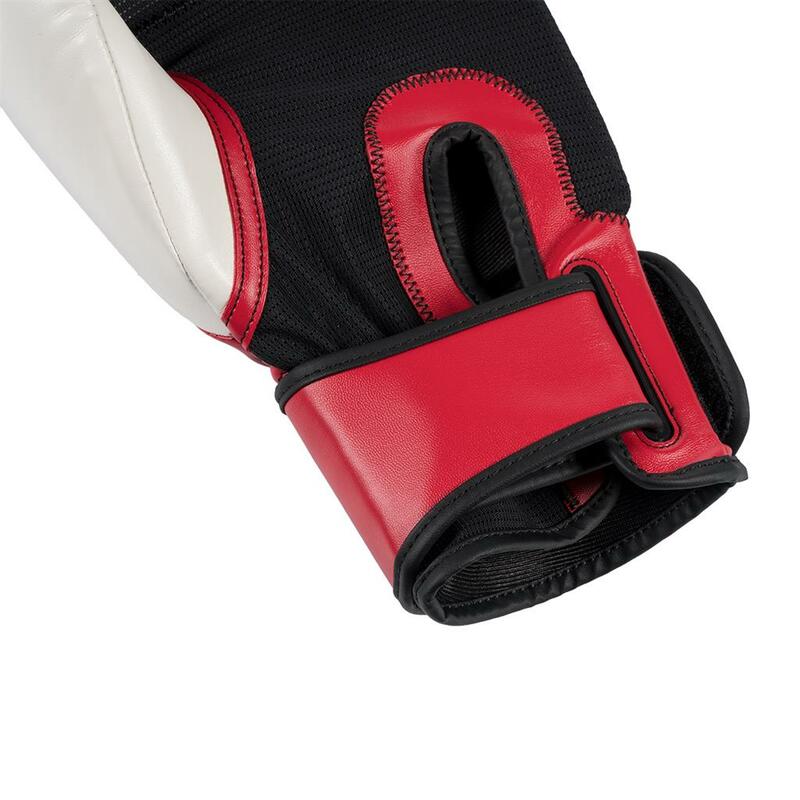 Dynamic two-tone gloves feature multiple layers of dense foam padding for high-level impact absorption. 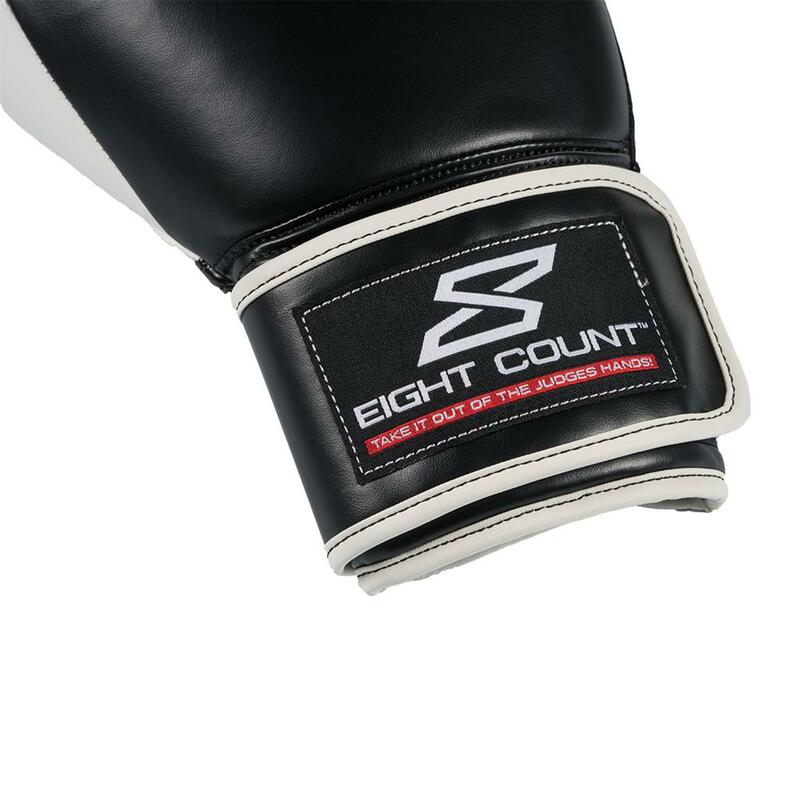 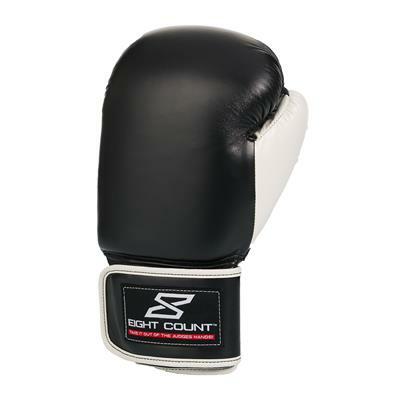 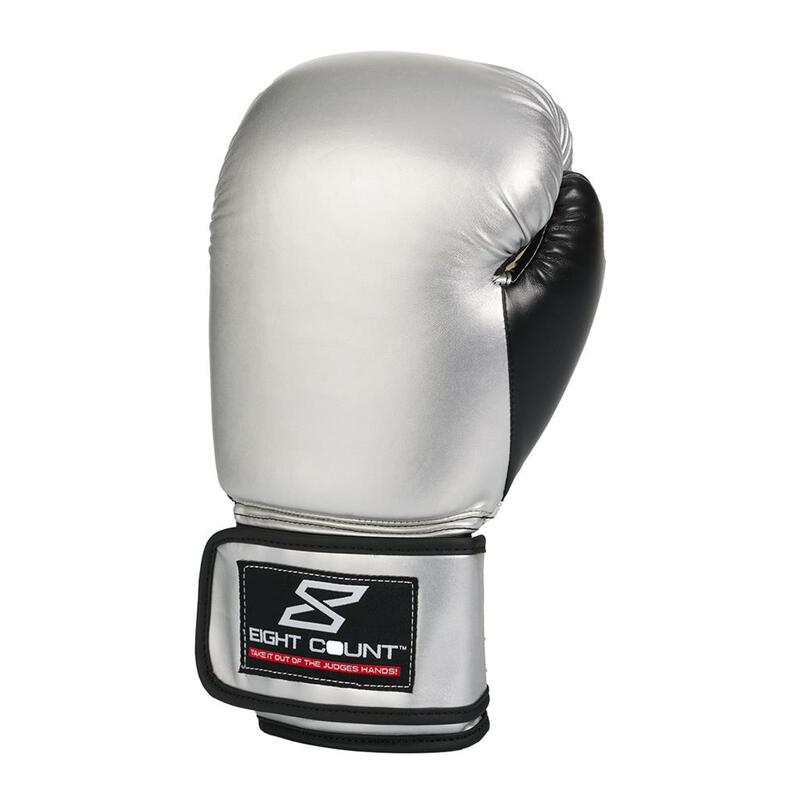 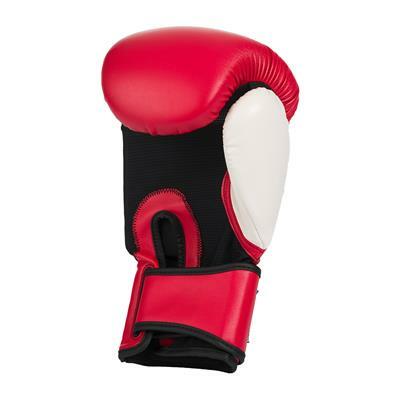 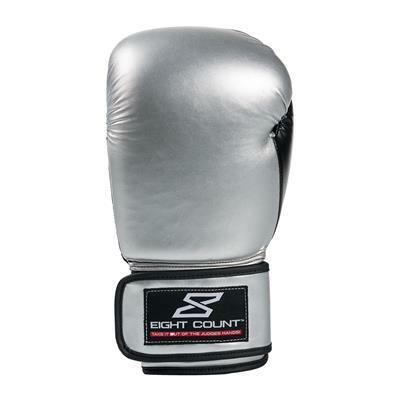 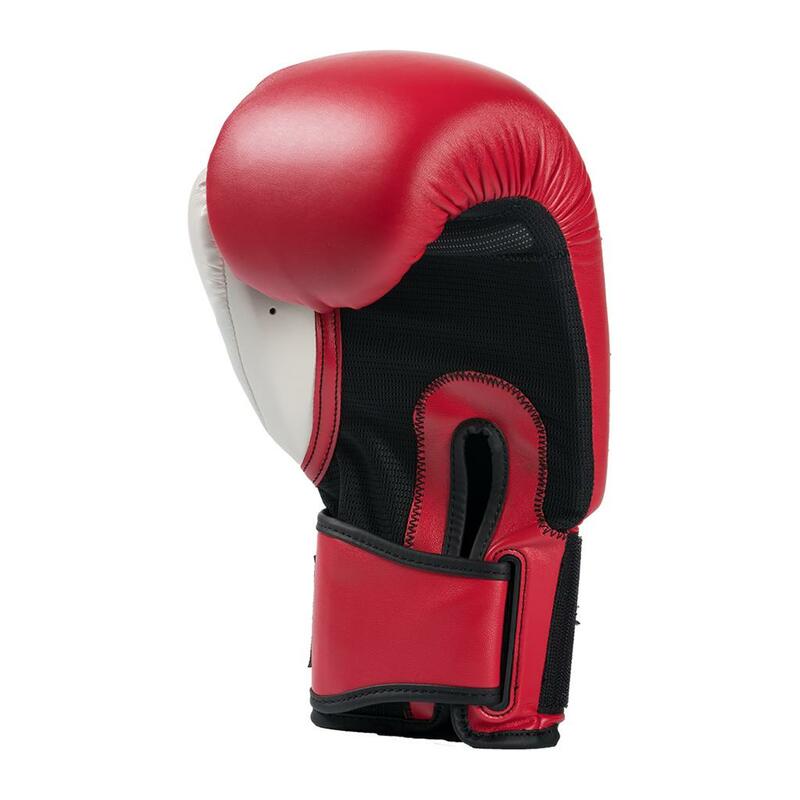 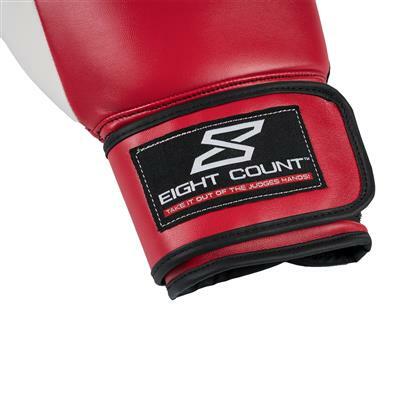 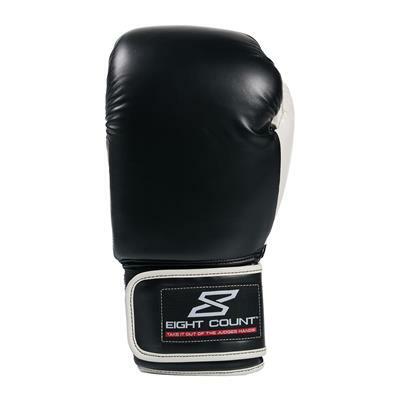 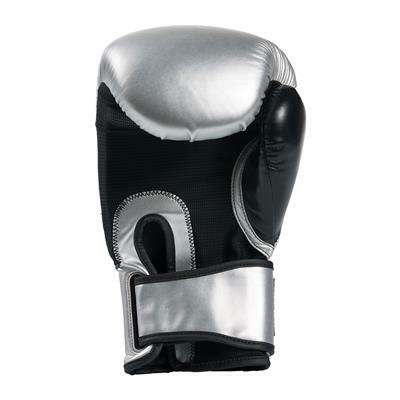 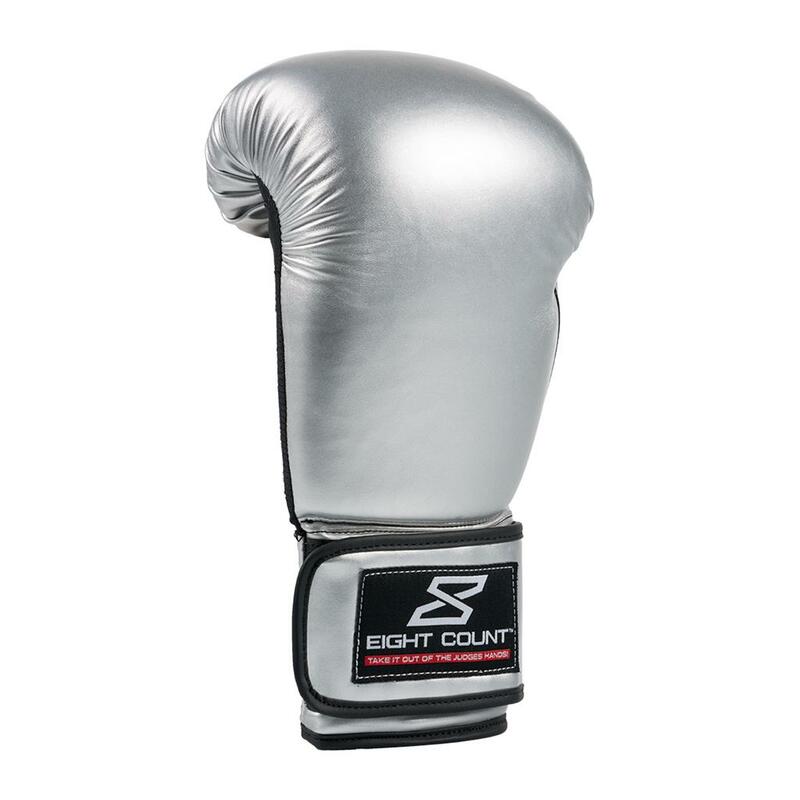 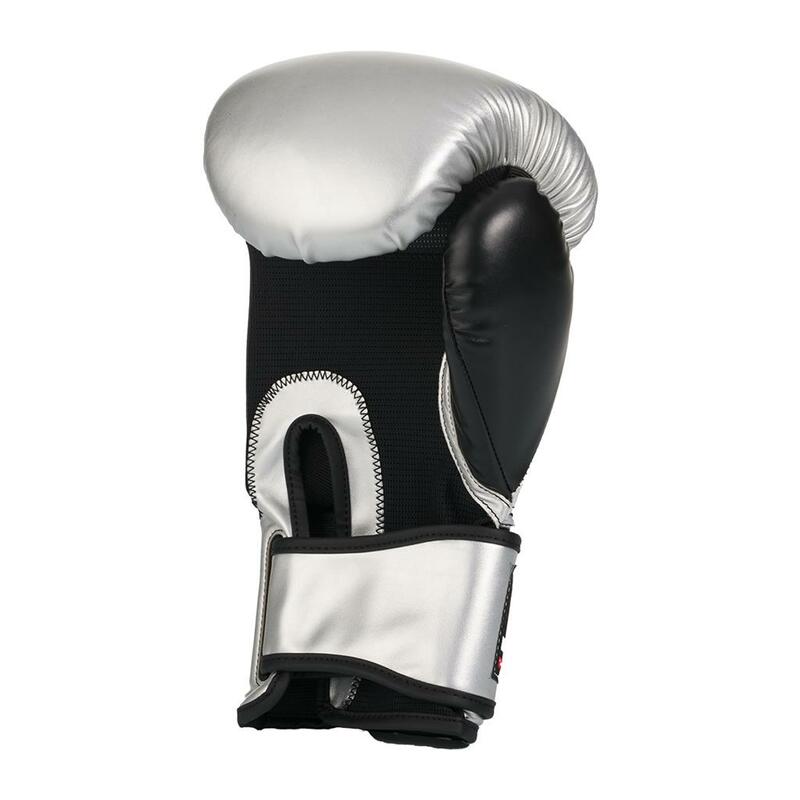 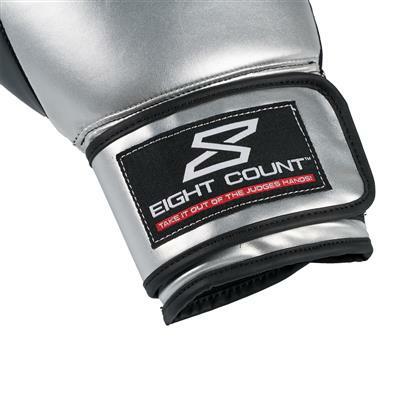 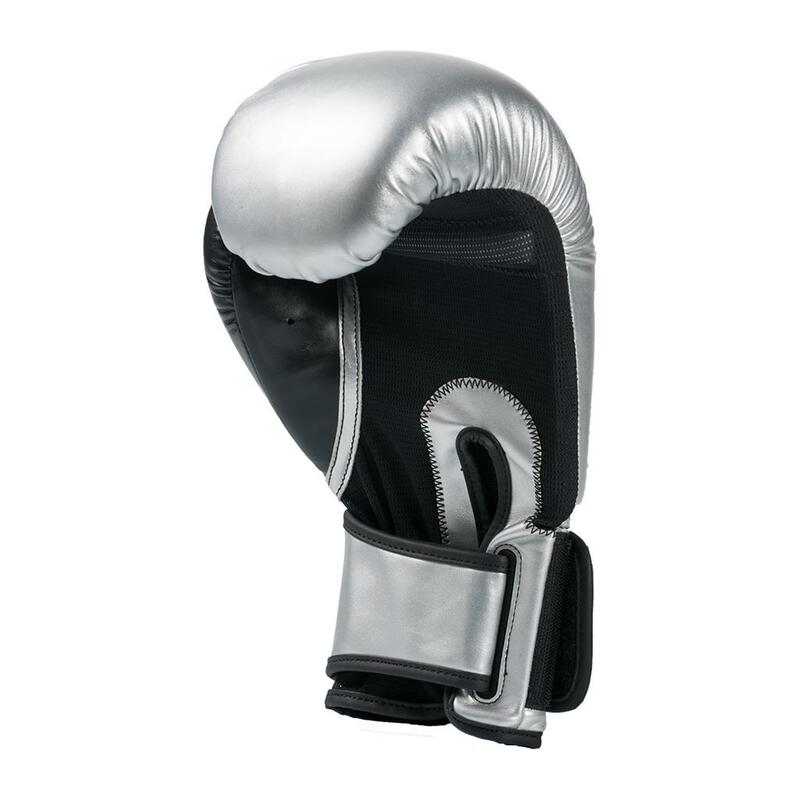 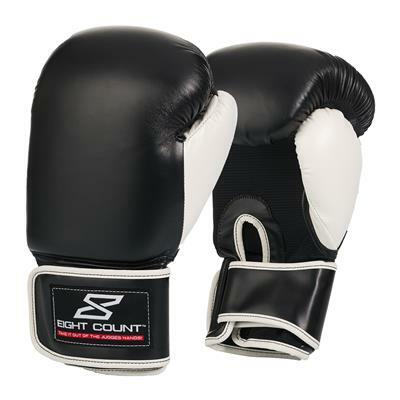 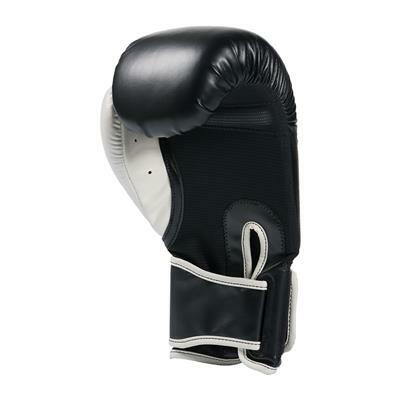 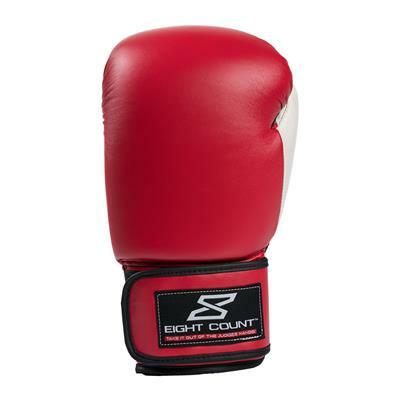 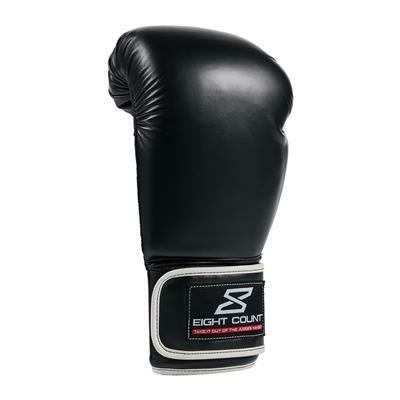 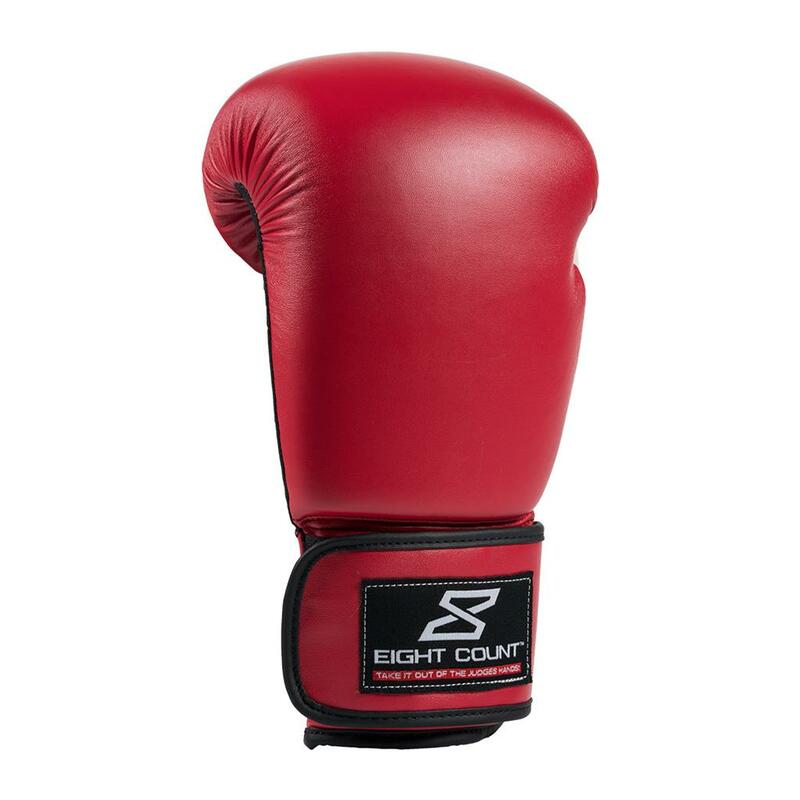 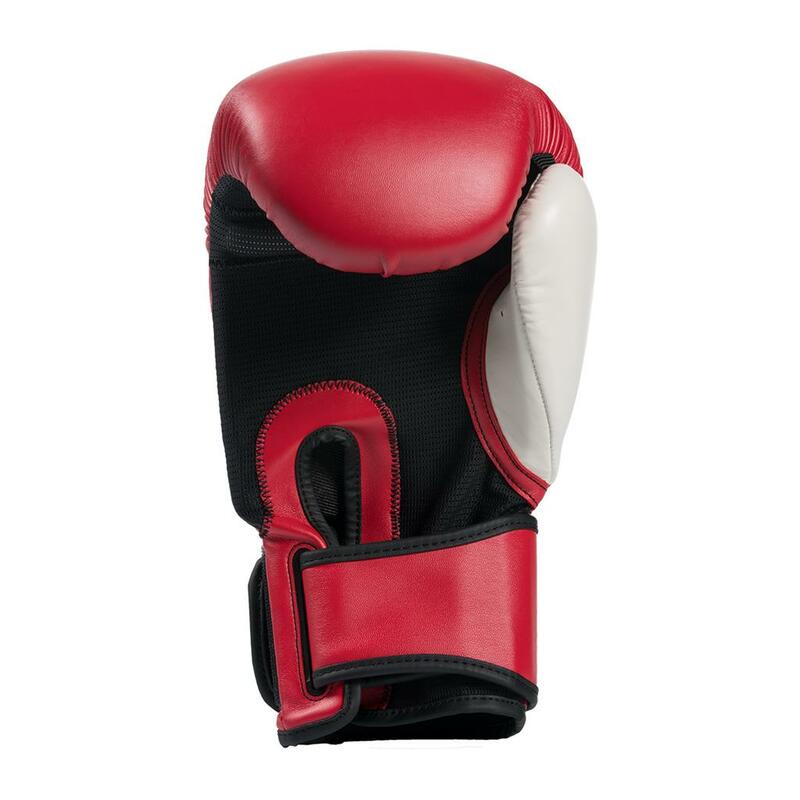 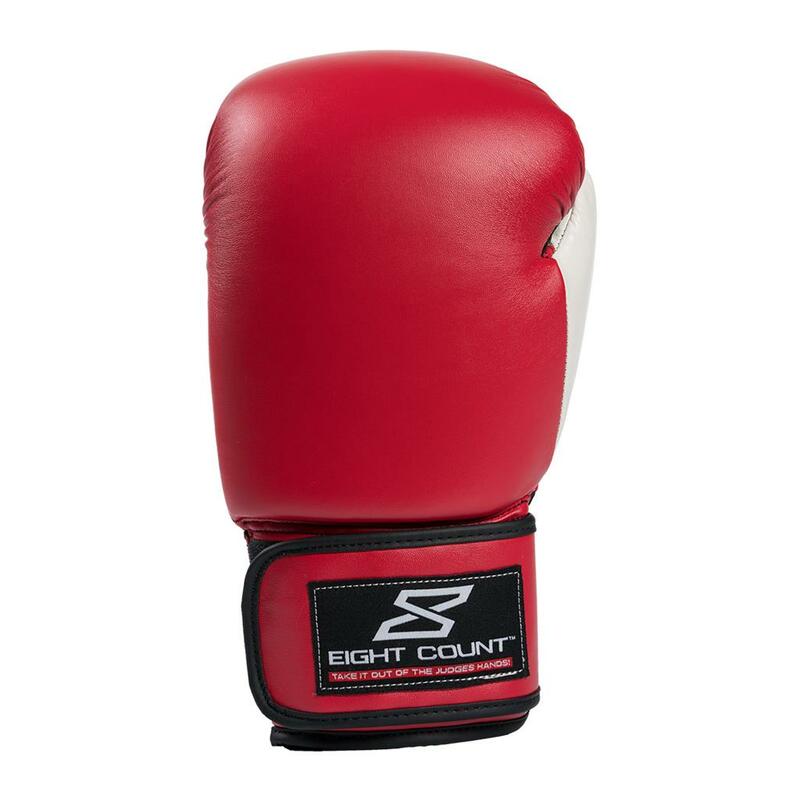 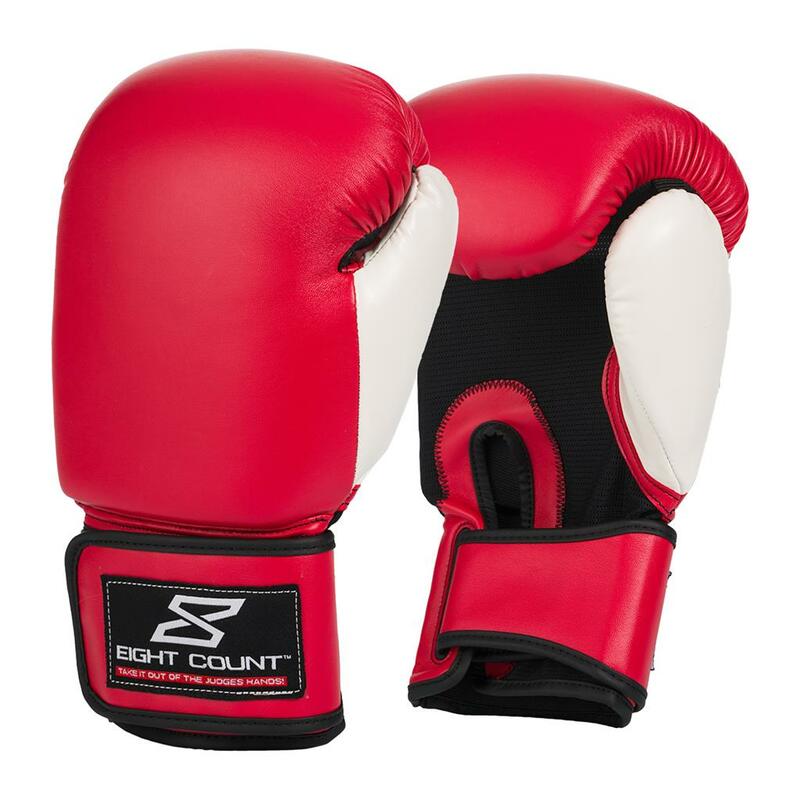 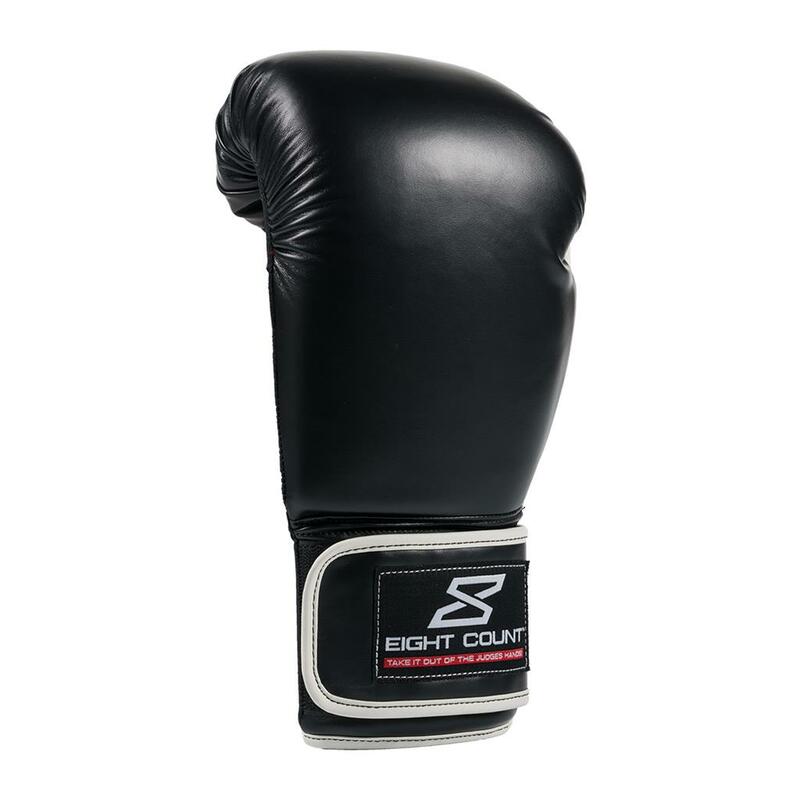 The durable polyurethane exterior stands up to intense training and is easy to clean – simply wipe gloves down with a damp rag after training. 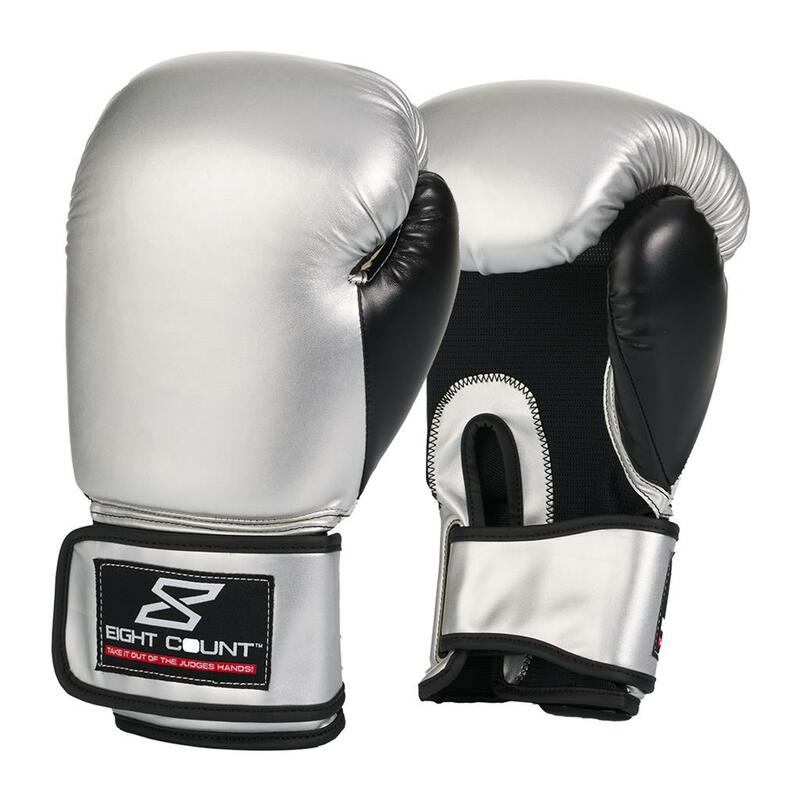 The mesh palms help keep hands cooler and drier during intense training. 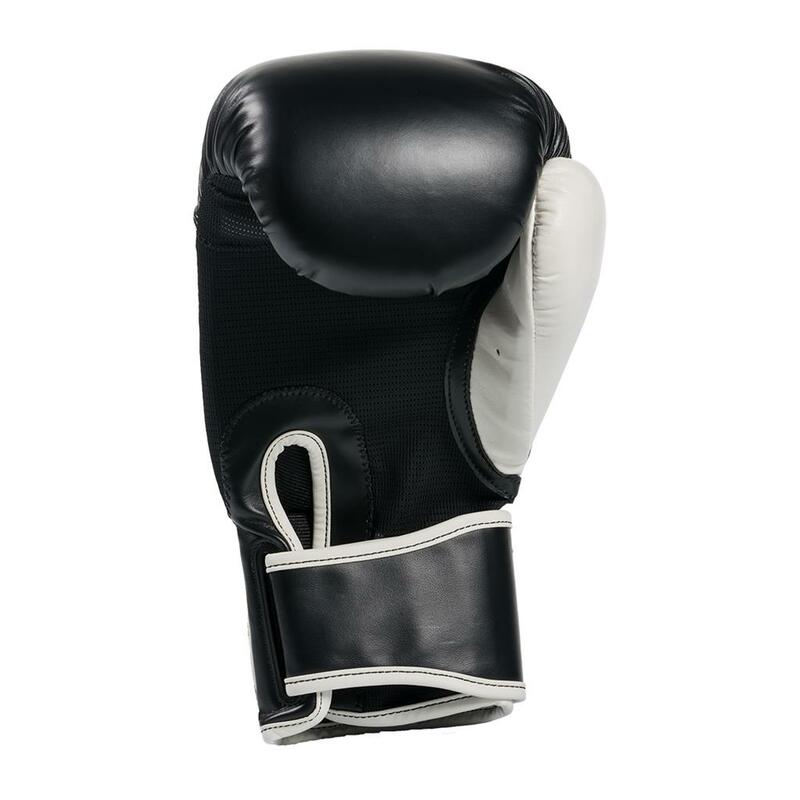 When the gloves are not being worn, the mesh provides ventilation, allowing the gloves to dry better and reducing the buildup of odor-causing bacteria. 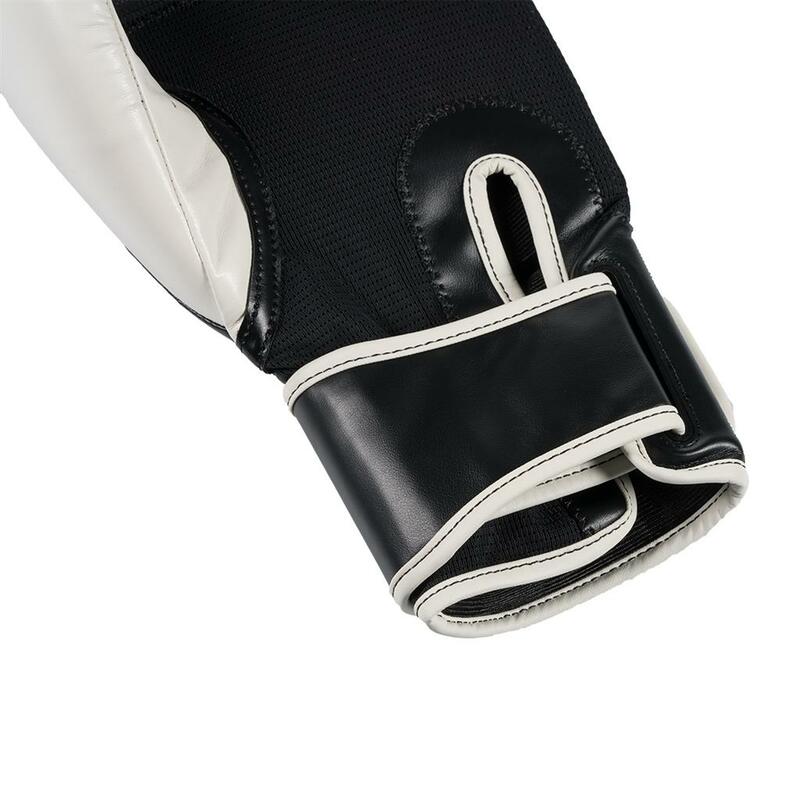 Built-in padded internal grip bars improve fist formation, and help correct formation become part of the wearer’s muscle memory. The attached thumbs of the gloves play an important role in reducing the risk of injuries. 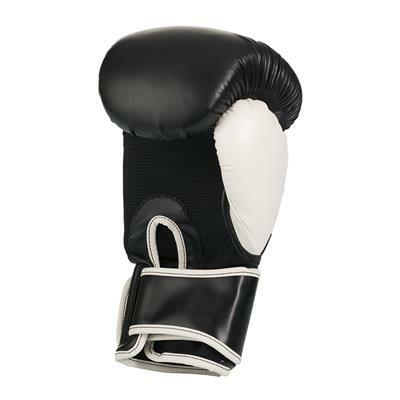 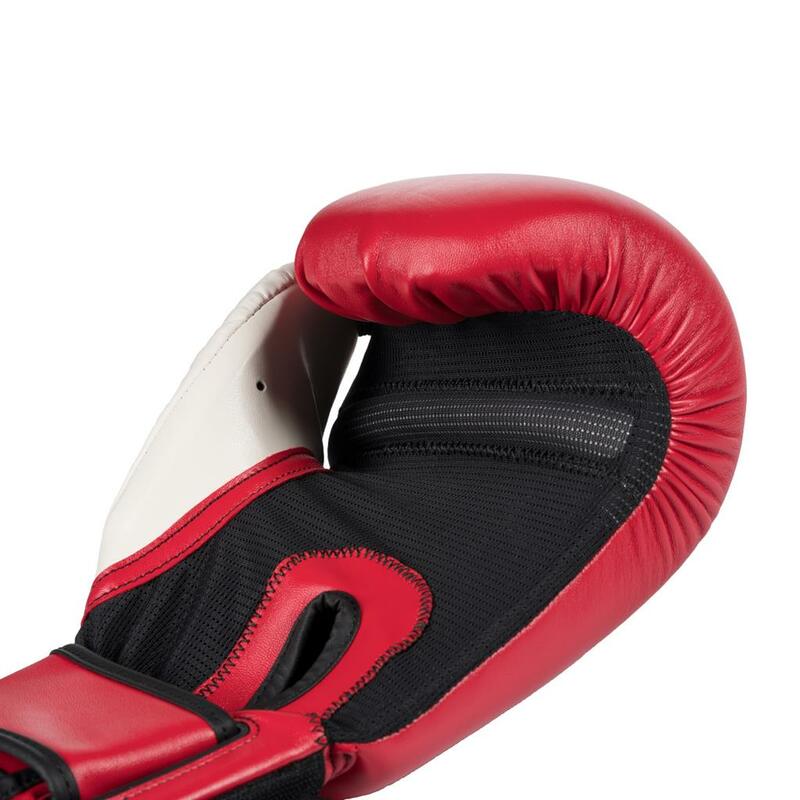 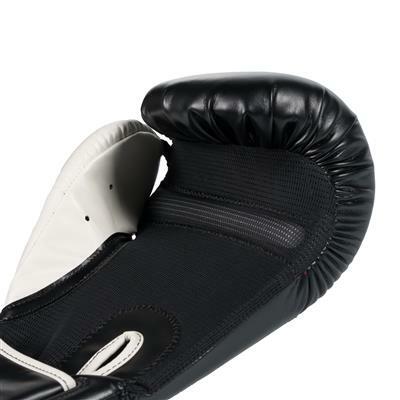 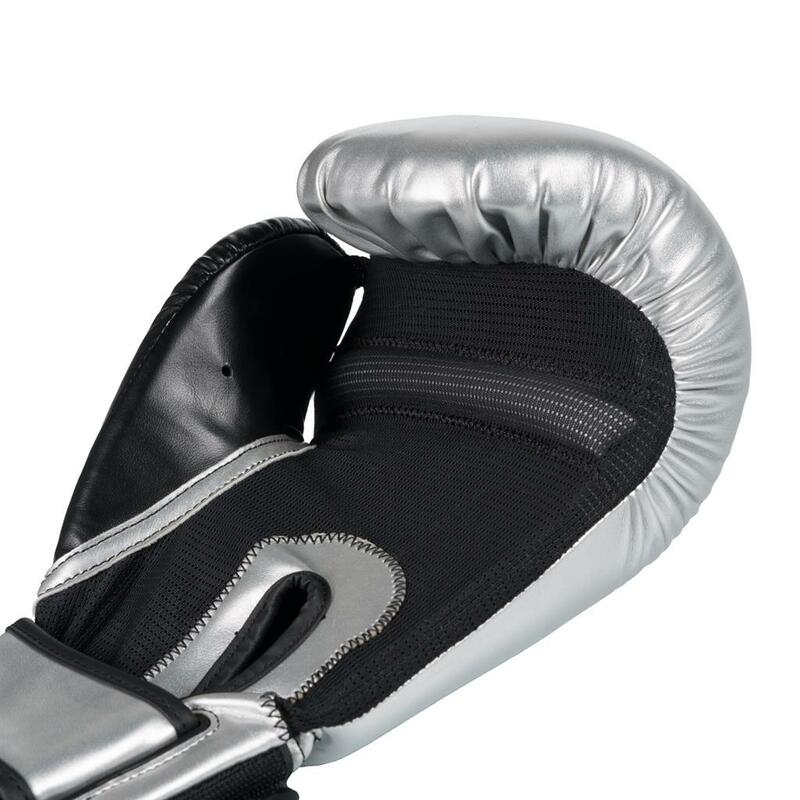 People wearing gloves with unattached thumbs are more likely to hurt their own hands due to improper fist formation, or hurt their sparring partner by accidentally gouging them in the eye with a stray thumb. 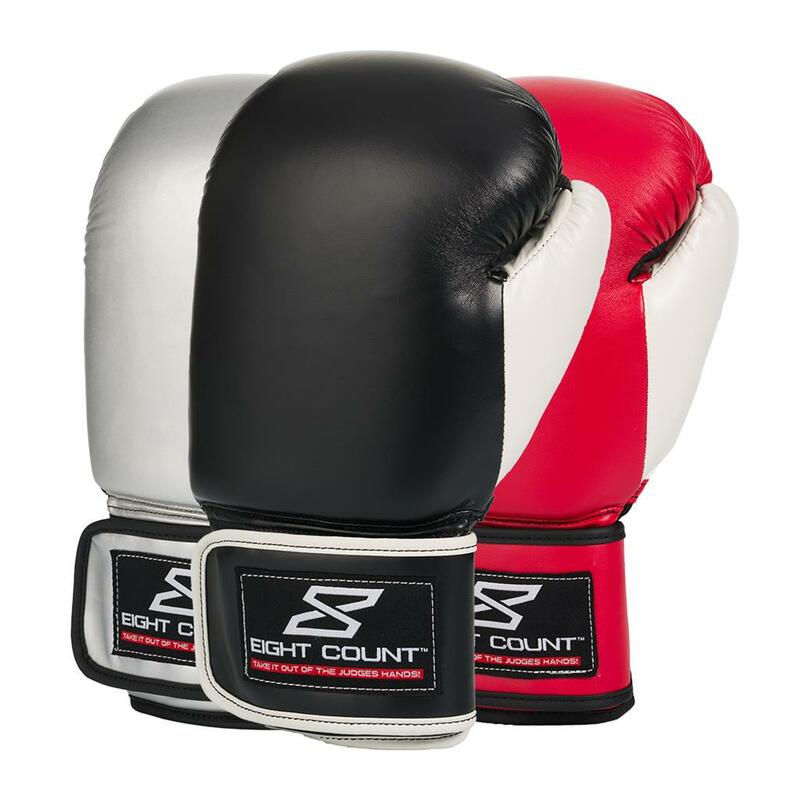 Available in three different color combinations and 12 oz. and 14 oz. sizes.